 Human Capital Ventures Limited and Human Capital Ventures Incorporated along with any associated or group companies (collectively “Human Capital Ventures” or “HCV” or “We” or “Us”) are committed to protecting and respecting your privacy. The information you provide to us will be used by Human Capital Ventures for the purpose of assessing your suitability, qualifications and skills, not only for current work assignments/vacancies but also for assignments/vacancies which we think may be of interest to you in the future. We may also use your information to keep you informed by email, telephone and/or mail about future work opportunities and marketing communication. Before receiving your personal data, you may have to pay an administration fee and will be required to undergo an identification verification process. Information that we collect from you, that you provide to us or data that you have made publicly available. This information may include but is not limited to your name, address, e-mail address, phone numbers, work and education history, a copy of your CV/resume along with your nationality which we are required to collect by law. If we place you with our clients, we shall also request and hold copies of documentation showing your legal right to work in the country of assignment, proof of residence and financial information such as bank account details, tax Identification numbers etc. At our clients request we may undertake pre-employment screening and background checks either directly ourselves or through a third party. These checks may include, but not limited to: employment references, credit references, criminal record checks and drug testing. The outcome of such checks maybe shared with the requesting client and held on our internal systems in accordance with data protection law. We may record and store any telephone calls you have with us for record keeping and quality control purposes. For the same reason, we may obtain information about your general internet usage by using a cookie file which is stored on the hard drive of your computer. Cookies contain information that is transferred to your computer’s hard drive. They help us to improve our site and to deliver a better service to users. Although we will do our best to protect the storing of your personal data, the transmission of information via the internet is not completely secure and we cannot guarantee the security of your data transmitted to our site or any third party; any transmission is at your own risk. Once we have received your information and transferred it to a third party, we will use strict procedures and security features to try to prevent unlawful access. To provide you with information on assignments, vacancies, candidates, products or services that you request from us or which we feel may interest you, where you have consented to be contacted for such purposes. to any member of our group, which means our subsidiaries, any associated or group companies, our ultimate holding company and its subsidiaries. Our site may, from time-to-time, contain links to and from the websites of our partner networks, advertisers and affiliates. If you follow a link to any of these websites, please note that these websites have their own privacy and cookie policies and that we do not accept any responsibility or liability for these policies. Please check these policies before you submit any personal data to these websites.